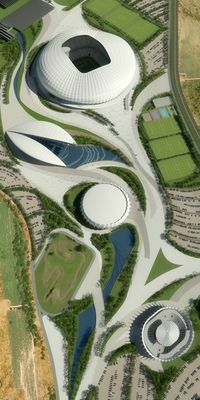 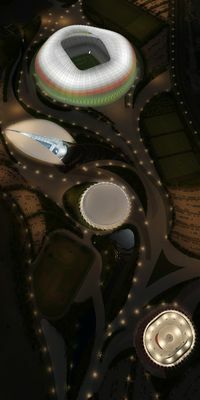 Stadium is the centerpiece of a 80-hectare complex that also includes a 5,000-people indoor hall, natatorium for 3,000, 4,000-people tennis hall, open sports pitches for various disciplines and an equestrian centre. Complimentary infrastructure includes a hotel with conference rooms and several hundred parking spaces. 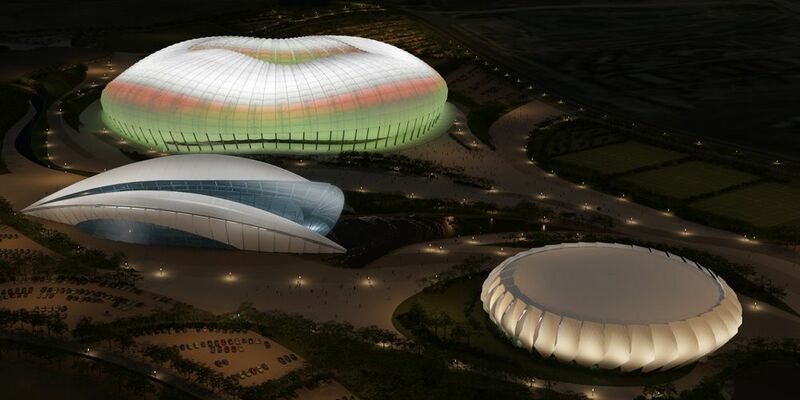 The stadium itself has been designed as a double-tiered bowl with a single ring of corporate seats, altogether accommodating 50,000 people without a single obstructed view. 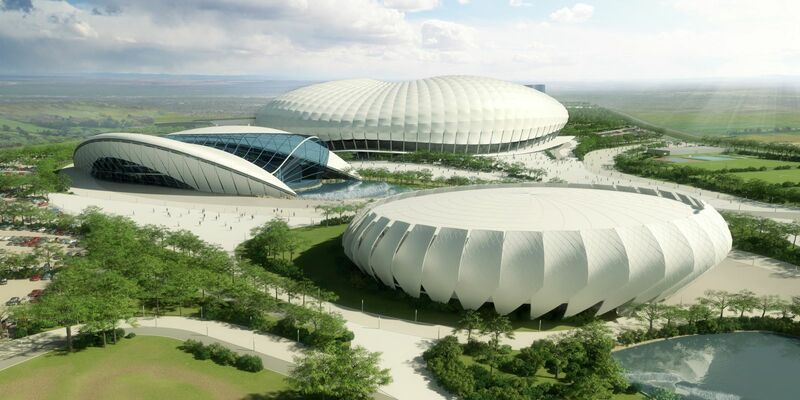 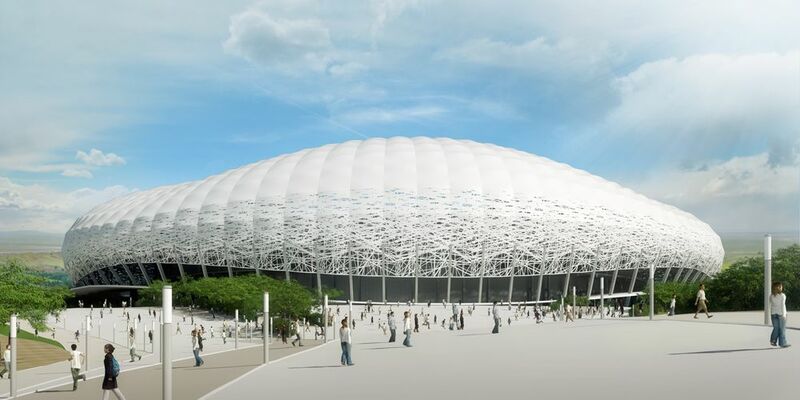 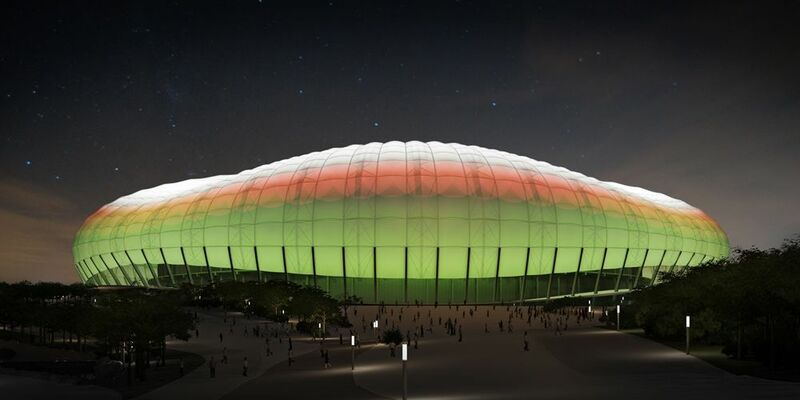 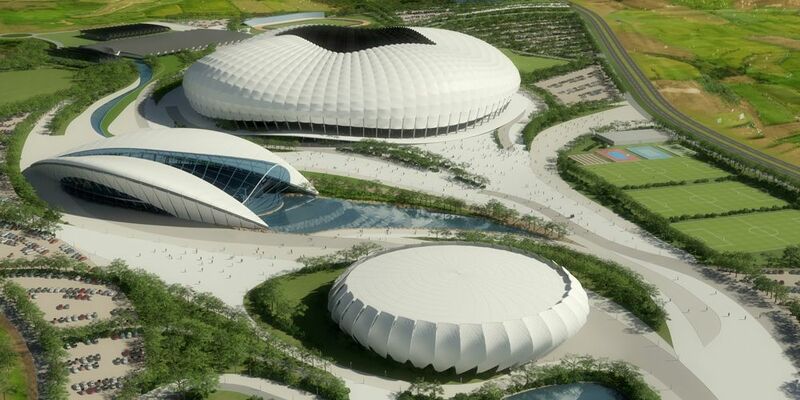 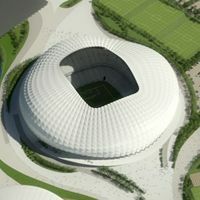 The outer structure of the stadium is to be covered with membrane, but architects prepared two variants – one with solid material and one with many perforations, making the venue seemingly lighter.